More than one TARDIS lands on a barren ice world. 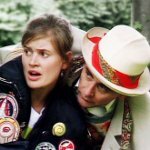 The fifth Doctor, Adric, Nyssa and Tegan find a once ordered society on the verge of collapse, as rebels wage a dirty war with Scientifica, the ruling elite. All that stands between order and anarchy is the massed presence of an Adjudicator peacekeeping force. But is peace the only reason for the Adjudicator garrison? What exactly has been discovered deep below the planet's surface? Who are the mysterious Feratu? And why is telling a ghost story a criminal offence? The fifth Doctor sides with the cause of justice and fairness as always. But, as a threat to the universe unfolds, he finds himself in conflict with his past... and his future. 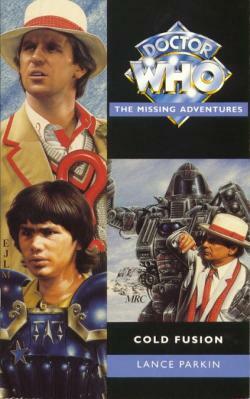 This adventure takes place between the television stories Castrovalva and Four to Doomsday and between the New Adventures Return of the Living Dad and The Death of Art. This is Lance Parkin's third Doctor Who book, and that's just this year. This latest one has more robots than his first and fewer footnotes than his second.